"It's encouraging to see, but all these measures were necessary to preserve the status quo," said Marie Diron, senior economic adviser at Ernst & Young in London. "Without these things, the situation would have been quite dire, but we've learned to be cautious." Last week, the European Central Bank unveiled a bond buying plan to help struggling sovereign nations, and this week, the German Constitutional Court backed the region's new bailout fund. European Union officials also released a proposal for a centralized banking authority, though it will likely be years before a so-called banking union is in place. And in the Netherlands, pro-euro political parties came out ahead in this week's general election. "I see the trend as basically positive," C. Fred Bergsten, a former U.S. Treasury assistant secretary for international affairs, told reporters Thursday during a conference call organized by the Council on Foreign Relations. "The doomsayers have told us time and again that the apocalypse is at hand, but it has not happened." Still, it remains to be seen if leaders can overcome their political differences and make the difficult decisions necessary to implement the plans, said former U.S. Treasury Secretary Robert Rubin, who co-chairs the CFR. Past progress has been undermined by a lack of unity among eurozone leaders. "I continue to think that they're behind curve," said Rubin. "This will not get resolved until the political leaders do what they need to do." The latest policy moves will buy time, but they do not address the region's fundamental problems, such as a lack of economic competitiveness and weak growth in Spain and Italy, said Ben May, an economist at Capital Economics. In addition, the economic outlook has deteriorated significantly this year, with eurozone gross domestic product shrinking in the second quarter. "These problems can't be solved with loans or by subsidizing government borrowing costs," May said. In the weeks ahead, investors will focus on Spain, which stands to benefit from the ECB's bond buying program. But the ECB has made it clear that Spain must first commit to a program of budget reforms and outside surveillance by activating either the European Stability Mechanism or its predecessor, the European Financial Stability Facility. Spanish Prime Minister Mariano Rajoy has so far resisted such a move, especially since the government's borrowing costs have plunged on hopes of an ECB intervention. The yield on Spain's 10-year bond dropped to a low of 5.6% this week, down from a high of 7.7% in July. "These are hardly the market conditions in which one would expect Madrid to go cap-in-hand to the eurozone rescue facilities," said Nicholas Spiro, director of London-based consultancy Spiro Sovereign Strategy. "It's a perverse situation in many ways. Just when we finally have a half-way credible bond-buying plan in place to help shore up Spain and Italy, neither country wants to make use of it." Italy has also seen its borrowing costs fall as investors see Spain as a threat to the stability of Italy's €1 trillion bond market. Italian Prime Minster Mario Monti has suggested that Italy would not need to tap the rescue funds, although investors are concerned that steps to overhaul the nation's economy will falter after Monti steps down next year. 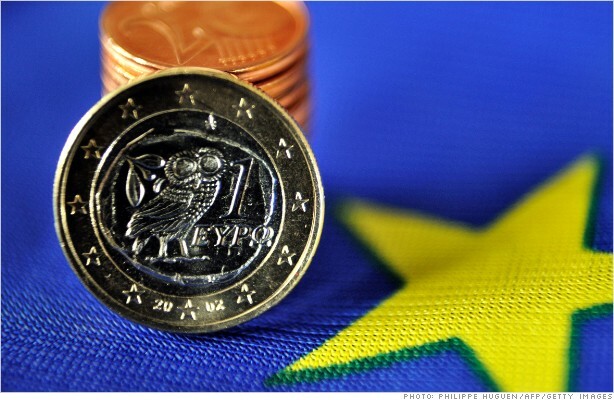 Greece, a perennial source of concern, is also on investors' minds. The Greek government is in talks this week with officials from its 'troika' of international lenders, including the European Union and International Monetary Fund. Greek Prime Minister Antonis Samaras is hoping to secure a two-year extension of the bailout agreement Greece's caretaker government signed in March. But the troika has reportedly rejected some of the €11.5 billion of spending cuts the Greek government has to make in order to secure its next installment of bailout money. A top IMF official told the Wall Street Journal this week that Greece will need additional financing, which could involve more loans or a restructuring of Greek debt held by official institutions such as the ECB. On the banking front, investors are eager to see how EU governments respond to the proposal for an EU-wide banking regulator. The proposal, which centers on the ECB, has been in the works for several months, but there appears to be some disagreement over how much power it will have. Germany, for example, wants the ECB to focus only on large "systemically important" banks, since overseeing all 6,000 banks in Europe would be unwieldy. But many of the problem banks are small or medium-sized institutions, such as the Landesbanken in Germany and Spain's so-called Cajas. In addition, analysts say the United Kingdom may be reluctant to cede authority over its powerful domestic banks to the EU regulator. "I think there will eventually be a compromise on these issues," said Diron. "But we're not there yet."